[Solutions] : How to Recover Data Deleted or Encrypted by Ransomware? Home > Virus & Spyware > How to Recover Deleted or Encrypted Data by Ransomware? How to recover data encrypted by ransomware attack? What are the infection vectors of ransomware? What are the precaution and prevention tips to avoid ransomware attack? Imagine a situation where you lost access to your memories as well as official documents that you have been saving for the past several years. You tried to access each of them, but they all seem locked and carry the same file extension. You contacted your friend and got to know you have encountered the ransomware attack. Adding more, what can be worse, when you even do not have a backup for the same? Before looking forward to a ransomware data recovery solution, is essential to have a better understanding of Ransomware. Read on to know more about Ransomware Virus Removal. This type of ransomware usually locks the system and demands a ransom to grant you access. This type of ransomware alters the files in the system and, in exchange, demands a specified amount to decrypt them. This type of ransomware either permanently locks the mobile or steals its sensitive data, and later on, demands a ransom to unlock it or return the data. A more severe form of Ransomware. In this, the hackers are not interested in the data, rather in taking hold of the device. What are the Forms of Ransomware? Ransomware dates back to 1989. The worst thing about it is that it does not indicate any slowing down signs. Rather, it is evolving by the day. With the advancement in technology, increase in mobile device variant & Bitcoin, an anonymous payment method, it has become worse. Due to this, Cybercriminals are on the increase who are well-versed in evading law enforcement. In this type of a vector, the user usually receives an email with a link or an attachment to download. Now, when the victim opens it or install it without authenticating, it eventually results in a ransomware infection. It is a cause of many infections. It occurs when a user visits the compromised website along with a software plug-in, an old browser or an unpatched third-party application that can cause machine infection. This compromised website uses its exploit kit, checks for known vulnerabilities, finds software bug and eventually exploits it for malicious code execution. Comes in several forms such as free games, game “mods”, bogus software, screensaver, etc. With the help of this vector, the user can easily bypass any email filter or firewall. It is basic as users directly download file on its own. When you receive errors related to corrupt data, wrong file extensions, etc. Who is targeted by Ransomware Attack? Anyone can become a target of the ransomware attack despite who you are, where you are, what device you are using? Thus, it can happen at any point, anywhere, and with anyone. It can occur when you are making a transaction, working, sending emails, surfing, and much more. The laptop, system, mobile devices, and tablets all become soft targets. It just has to locate a way to enter the device, and once it does, it simply employs the encryption as well as ransom strategies. How Does Ransomware Virus Get on Your System? What to Do After a Ransomware Virus Attack? It is imperative for users to keep their Windows Operating System up-to-date. If you upgrade to Windows 10, you will reduce the events of the ransomware attack to the maximum extent. What if you are still not able to access your data? There are three ransomware data recovery methods available for recovering encrypted ransomware data from any system. Let’s look at each. Encrypted ransomware files can easily recover by restoring original files from the external backup device. This can be done only in case if you have maintained a regular backup of your computer data in an external Hard drive, SSD, SD card, Pen drive, cloud storage or other storage devices. If there is no backup available, then you can use data recovery software to recover encrypted files from Hard Drive, SD card, Pen Drive and other storage media devices. What if none of the above countermeasures and prevention work? Then, the next step would be to move to Ransomware Virus Removal Services. The services help you to recover your data seamlessly. If a recommendation for the best recovery service provider is to be given, then go for Stellar Data Recovery Service Provider. The reason being, Stellar Data Recovery is a niche’ segment in the field of Data Recovery. Further, the Enterprise is ISO 9001:2015- QMS & ISO 27001:2013-ISMS certified and highly accredited for its safe, secure, fast, and reliable services. The firm has its strong foothold in Vashi, Noida, Ahmedabad, Chennai, Chandigarh, Mumbai, Delhi, Gurugram, Bengaluru, Kolkata, Pune, and Hyderabad. History of Ransomware Attack In India? Gandcrab Ransomware Attack – A new version of ransomware virus “GandCrab“ detected recently, Jan’2018. And similar to other viruses, it encrypts the files on the infected computers and asks victims to pay dash cryptocurrency as a ransom. This malware has some intriguing features that had never been detected in this viruses category before. 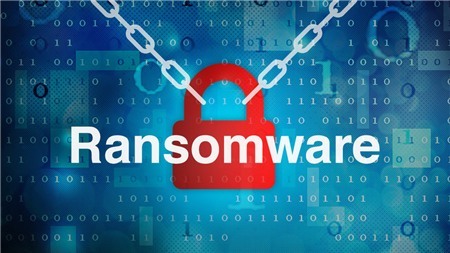 To prevent infection with ransomware, It is advised to keep back-ups of your important data, use a security solution, and avoid accessing links or files from unsolicited emails. Read more about what is the Gandcrab virus and how to recover data from after Gandcrab attack. Wanna Cry Ransomware Attack – Wanna Cry Ransomware Attack is on rising and On Friday, 12 May 2017, a large cyber-attack, has been affected more than 230,000 computers across 150 countries including India and demanding ransom payments. The Wanna Cry Ransomware attack has been done by multiple methods, including phishing emails, links, documents and on unpatched systems as a computer worm. Conclusion: Ransomware Attack is indeed an alarming situation. probably it can harm your reputation by breaching the privacy. Therefore, exercise above ransomware preventive measure to protect yourself from such situations. Further, if the effect of the Ransomware is such that none of the above solutions works, then you can opt for the suggested Ransomware Virus Removal Services to counter it. Thanks for providing a combined detail about Ransomware Attack. Thanks for appreciating our efforts. We have concluded all the important points about Ransomware Attack. A few days back I got infected with Ransomware attack but I did not pay ransom money to for recovering my data. With the help of Stellar professional, I recovered my data. Thanks for taking Data Recovery Services for Ransomware Removal !! I need a help to decrypt my encrypted data. My System was attacked ramsonware virus but i formated my hardisk .I want my images .there is any way to recover files. I got infected by ransomware attack ..can u help me decrypt my data. hey Nikki i also got Ransomware virus in my Company Computer, And all my data is currepted. so can you please help me to recover my data. My system got infected from wannacry ransomware attack. I was working on my system and suddenly it was responding slow. I tried to open folders but it is not opening. And after a second I got an message that is “You are encrypted from “WannaCry”. Follow the instruction to unlock your files. I have stopped working on my system. Please tell me what should I do. I have my office files inside the computer. Please give me a solution. Okay, that is fine you have stopped working and shutdown your PC. First I will advise you to do not think to pay them, there is no guarantee that after paying them you will get access of your data. WannaCry attack is a severe grade virus attack. And in some cases virus can be removed, but data recovery is possible you can contact us for Ransomware data recovery. Can you please tell me what are the charges of data recovery for ransomware attack file? If you are infected from ransomware attack (WannaCry) then you can submit your media. First we will do analysis ‘how much data we can recover’ then we will send you cost of data recovery. nice information about ransomware virus removal, our organisation has faced wannacry attack last week. i will recommed your blog to my co-workers,how to be safe from ransomware attacks. Thank you for recommending our blog. For any other query you can get in touch with us ! I have stopped working on my system. Please tell me what should I do. I have my office files inside the computer. If your system infected with the virus attack then I suggest you submit your media device to the data recovery providers to check whether data recovery is possible or not? And how much data can be recovered? I also struggled with viruses but at one point I had a hard drive cracked. and here it was no longer a joke. because the data that was on the hard disk is very important to me. beginning with the children’s photos ending with working projects. I turned to specialists from the Stellar and they helped me. All the data was restored. These processes are very good and useful, and mostly, to secure your data, take a backup of those, and regularly update with the system, by those, you can easily save your PC from the external viruses and ransomware. Today we were found our data server got infected with Ransomware virus and not able to access our data. It might it was encrypted by the virus. kindly guide us what to do in this case. We don’t mind taking help from you. please call me on my cell 9821286829. Thank you for reach out to us….one of our representatives will contact you shortly. The post is very much helpful as I have got to know about the ransomware attack which might help everyone to be safe online.